“Arty for the Planet” art contest details! 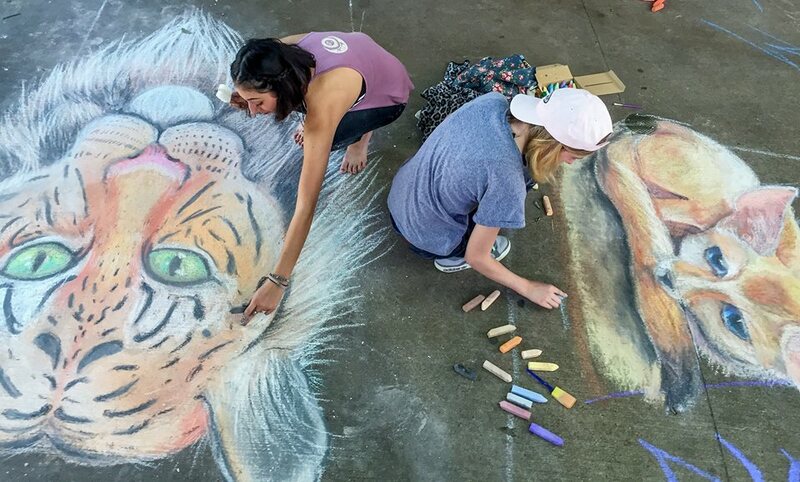 Booker T. Washington students create animal-inspired chalk art at last year’s Arty for the Planet event. When Earth Day rolls around, it’s a party at the Zoo! On April 21 and 22 from 10 a.m. to 3 p.m., our Lacerte Family Children’s Zoo is hosting Arty for the Planet. Guests can bust out ZOOmba moves with us; create upcycled musical instruments and jam; look at stunning wildlife conservation-themed chalk art by local art students; watch animals engage in art; and create your own nature-inspired art, too! But before we kick off Earth Day celebrations, we’re inviting artists of all ages to submit an original art project using upcycled materials from April 14—18. Artwork will be judged on originality and use of upcycled materials in each age group by a panel of Dallas Zoo’s staff artists and the public. Guests can enter into these four categories: ages 5 and under, ages 6-10, ages 11-17, and ages 18 and up. In each category, awards will be given for Peoples’ Choice (determined by Zoo-goers) and Experts’ Choice (determined by a panel of Zoo staff). Submissions can be delivered to the Dallas Zoo Membership Services booth from April 14-18 during Zoo hours (9 a.m.-5 p.m.). Art will be on display in the Children’s Zoo for guests to vote on, and the winners will be announced and contacted on April 22. (Plus, we’ll share it on the Zoo’s Facebook page!) Winners of each category will receive a Family 4-pack of Dallas Zoo tickets. Good luck! Admit it, there are a few creatures that make your skin crawl, or maybe make you squeal, jump on top of a table, or run like the wind. In honor of the spookiest time of year, we’ve compiled a list of the scariest creatures at the Dallas Zoo. But we’re not trying to intensify your phobias — zookeeper Tim Brys tells why our top five “scariest” animals are simply misunderstood. 1. 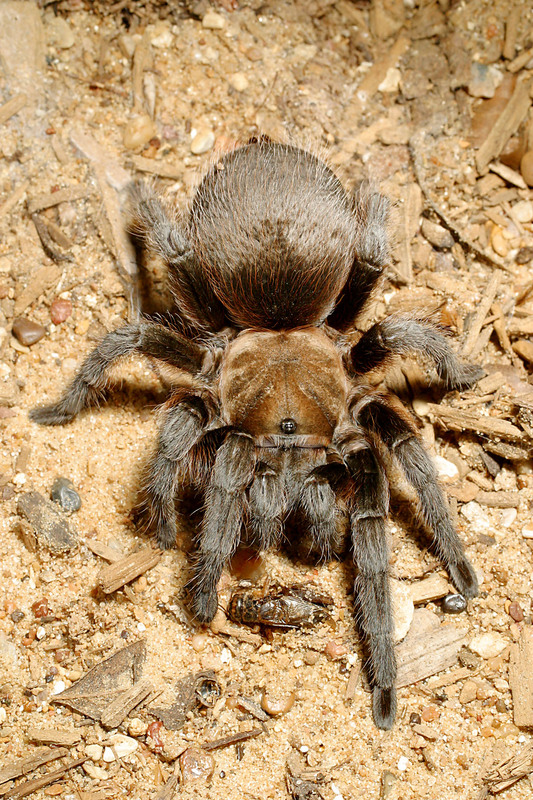 Texas brown tarantula: They freak out arachnophobes, but they’re usually fairly docile, often kept as pets. 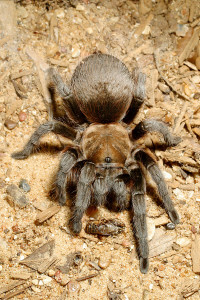 They’re more likely to flick itchy hairs from their bodies to keep you away than to attack you. Their bite is like a bee sting, but they’ll warn you first by rearing up with their front legs raised. 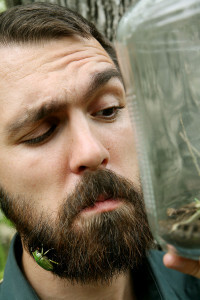 They’re a great pest control for many insects found around your home. 2. Snakes: Let’s start off with this: snakes are shiny, not slimy! And they’re not out to bite you, even the venomous ones. In fact, they’d rather not bite, because it risks damaging their teeth and wastes venom they need to catch food. Snakes would rather just crawl away and hide somewhere, so let them be. 3. Rats: Rodents have instilled fear in humans since the time of plagues. Like any animal, they can spread disease when populations are too high… which is why we have natural controls for them, such as snakes! (See how that works?) If you take a closer look at rats, though, they’re highly intelligent. They can be trained like a household pet and bond well with humans. Plus, they’re furry – and who doesn’t like cute and fuzzy? 4. Madagascar hissing cockroaches: It’s hard for me to look at these insects as scary. I got one as a Christmas present when they were first available in pet stores. They do hiss, but that sound is actually from air being squeezed through holes (spiracles) on the sides of their bodies. They do this when touched, because they don’t know if it’s a predator. They’re nature’s recyclers – they break down organic material, which gives plants access to previously trapped nutrients. Their feet may be a little prickly, but they’re harmless. 5. 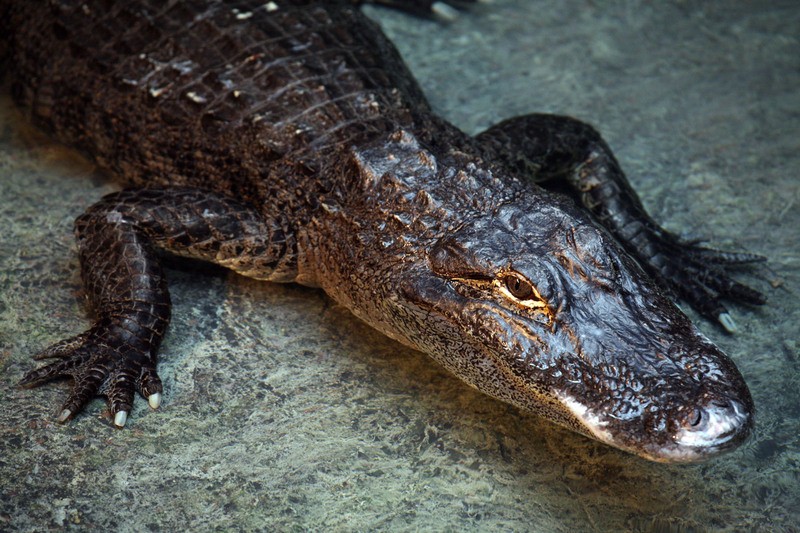 American alligator: These scaly guys aren’t normally aggressive, but they can become that way when people feed them. If a bite occurs, it usually happens when a person is doing something foolish, in an area that maybe they shouldn’t be (like swimming where alligators have been fed by people), or if there isn’t enough food to go around (often because of overpopulation and habitat loss). They’re incredible creatures that can survive over a year without eating and have some of the strongest stomach acids known to animals.